Who:	ANYONE can be a torchbearer in the Special Olympics Unified Relay Across America presented by Bank of America. Over 20,000 participants expected to take part as torchbearers. Where:	Across the U.S – Over the course of 46 days, in a hand-to-hand exchange, torchbearers will run, bike, walk, rollerblade or roll a segment of the relay in this team and individual fundraising event. The Unified Relay will have three simultaneous routes, Northern, Central and Southern, and will pass through all 50 states. 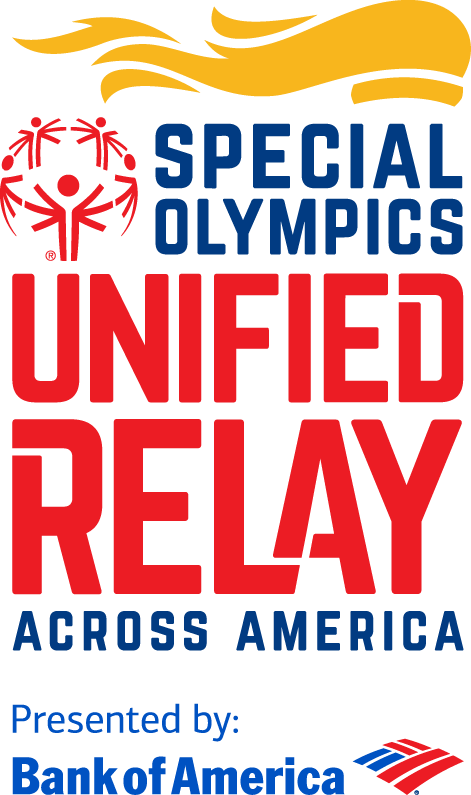 Why:	Funds raised from the Unified Relay will go to Special Olympics to provide sports training, competition opportunities and additional programming that empowers people with intellectual disabilities to become accepted and valued members of their communities, which leads to a more respectful and inclusive society for all.